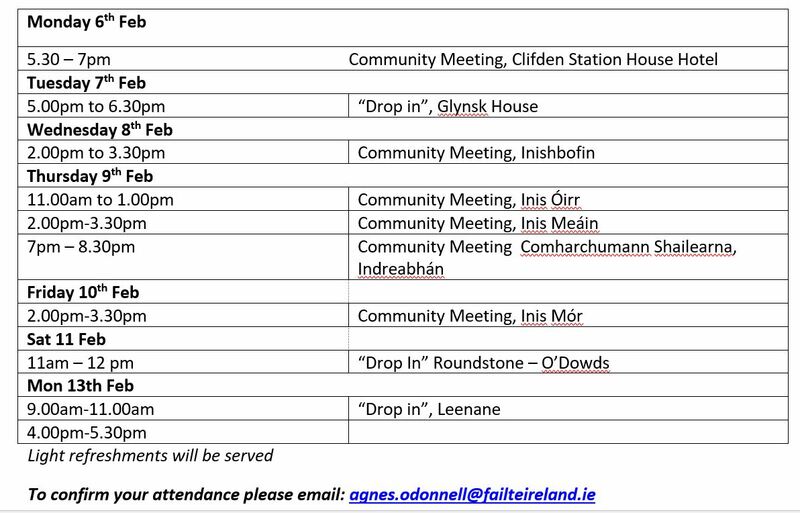 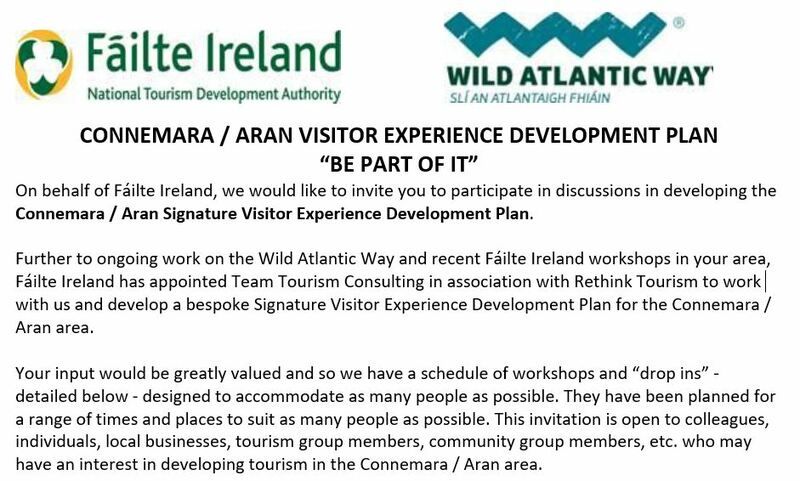 Fáilte Ireland have recently invited local tourism businesses, individuals, tourism and community group members, and all other interested parties to be part of the creation of a ‘Connemara / Aran Islands Visitor Experience Development Plan’. 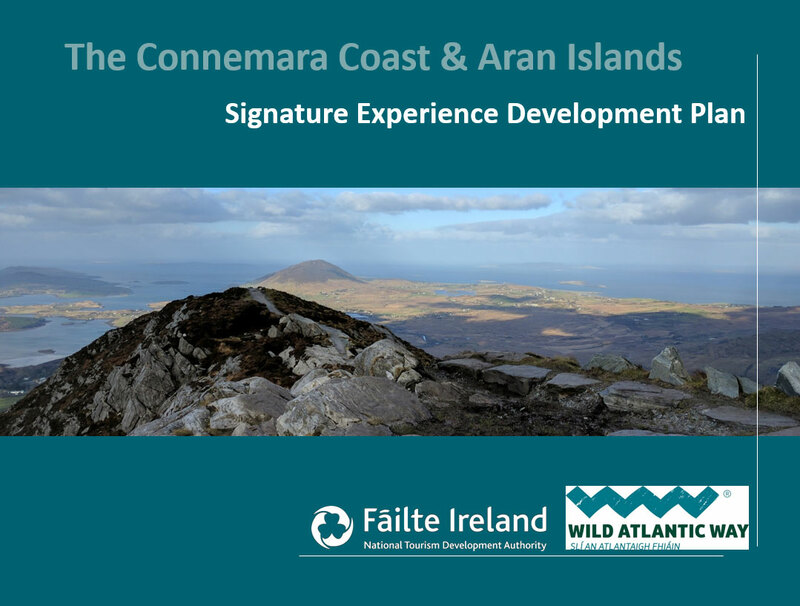 This new Experience Development Plan aims to help ensure continued growth in visitor numbers to the region and will also help to extend the season and spread business to our smaller nearby villages. 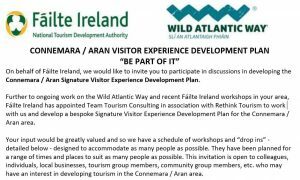 How you might define your own ‘signature experience’ and to maximise the opportunities presented by the Wild Atlantic Way experience brand. 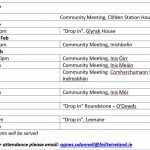 A full schedule of workshops and “drop ins” were conducted. 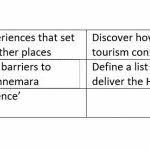 We now await the publication of the plan.